This was my first attempt at creating a CD that involved working and recording with other musicians. It was recorded at Enclave Studio’s, Lincoln. Sean South engineered it, he also played electric and bass guitar. Ben Parker played violin, piano and accordion, John Childs, blues harmonica and Corrine O’Sullivan backing vocals. I played guitar and sang lead vocals. The songs are a mixture of ballads, blues tunes and there are two unaccompanied songs. The album was featured on Radio Lincoln’s Folk programme and has sold well in Folk clubs and at festivals, around the country. The title track and Tommy’s War appear on the earlier recorded Water Under The Bridge album. The original artwork was done by me and the layout and photography by John Tyerman. 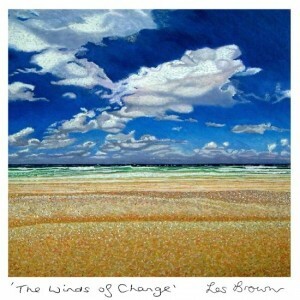 Les Brown Art and Music – Lincoln | Powered by Mantra & WordPress.